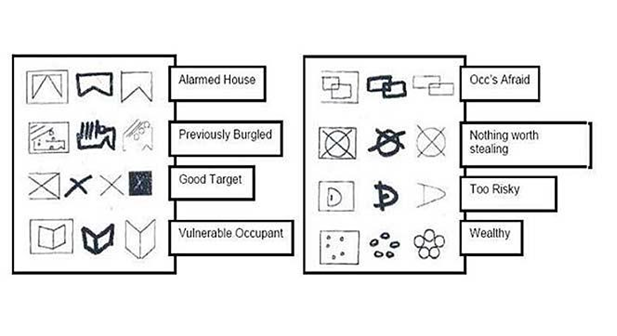 It seems that some burglars have taken to marking the properties of potential victims for burglaries. A selection of the symbols and their meanings are shown above although this list is not exhaustive. The symbols can be hand drawn or applied by spray paint or chalk on houses and footways. 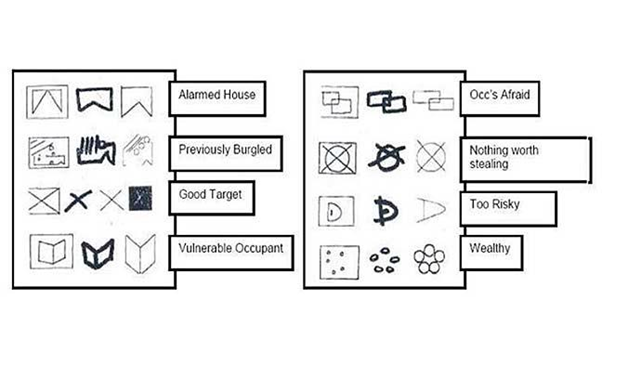 If you see such symbols or codes, you should contact the police on 101. Please also send an email to us and a picture, if possible.